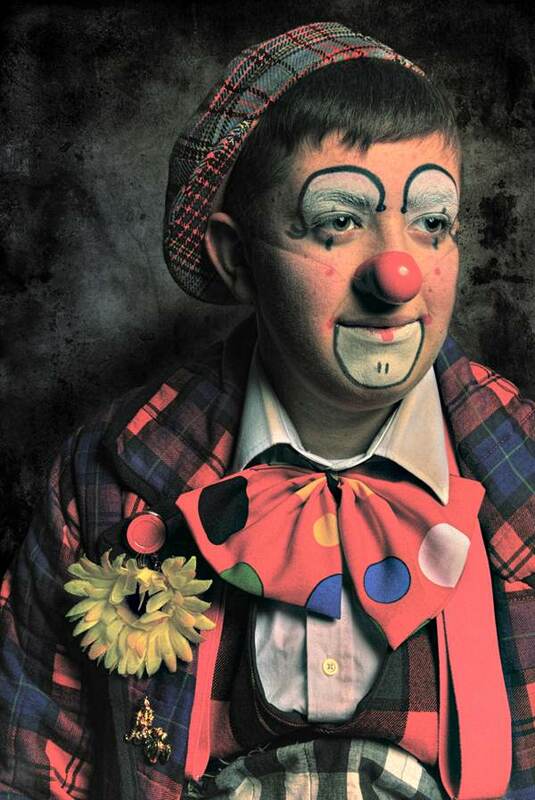 A fortnight ago, Contributing Photographer John Claridge & I attended the 67th Annual Grimaldi Service at Holy Trinity Church, Dalston, as guests of Clowns International, the world’s oldest clown club founded in 1947. This rare gathering of so many clowns offered the ideal opportunity to take a set of portraits and this week it is my pleasure to publish a second vivid selection from the startling pictures John took that afternoon, recording some intimate encounters with memorable buffoons and pranksters. 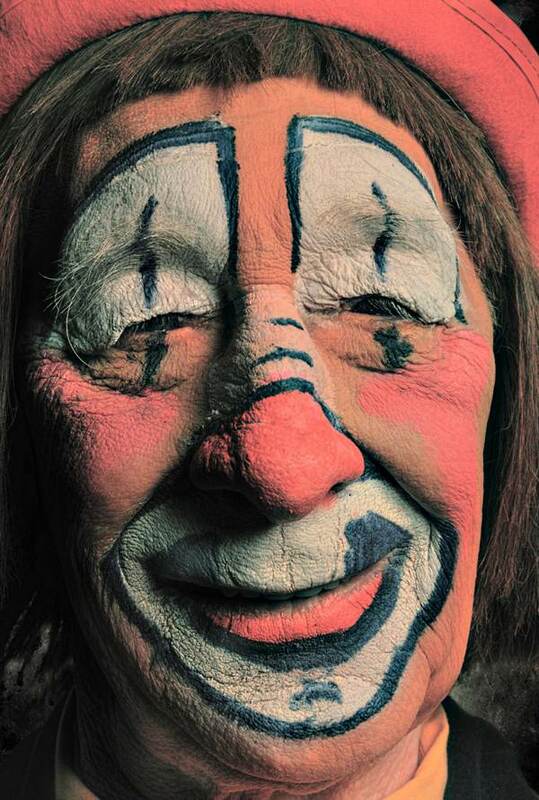 Mr Woo - Clowning since 1950. Performs in a double act with Uncle Colin as The Custard Clowns. 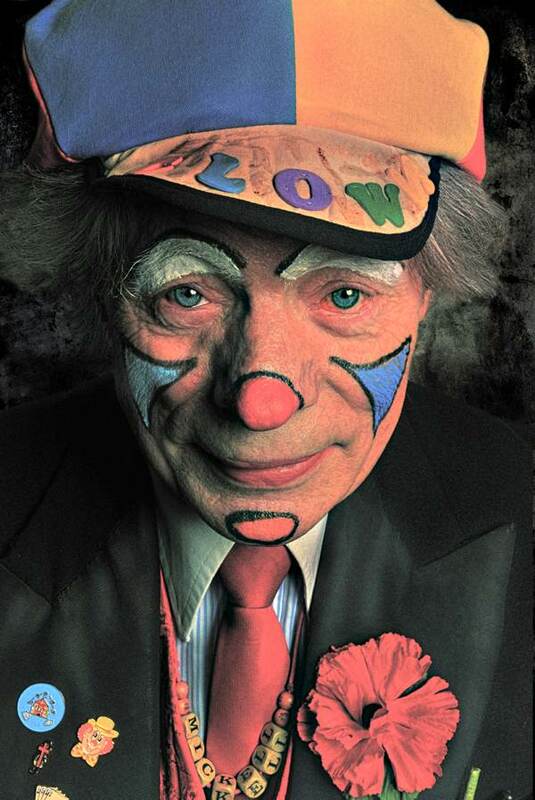 Toby Jingles - Clowning for forty years. Benzy - Clowning for eight years, Benzy is Mickell’s grandson. Joey the Clown - Clowning for four years. 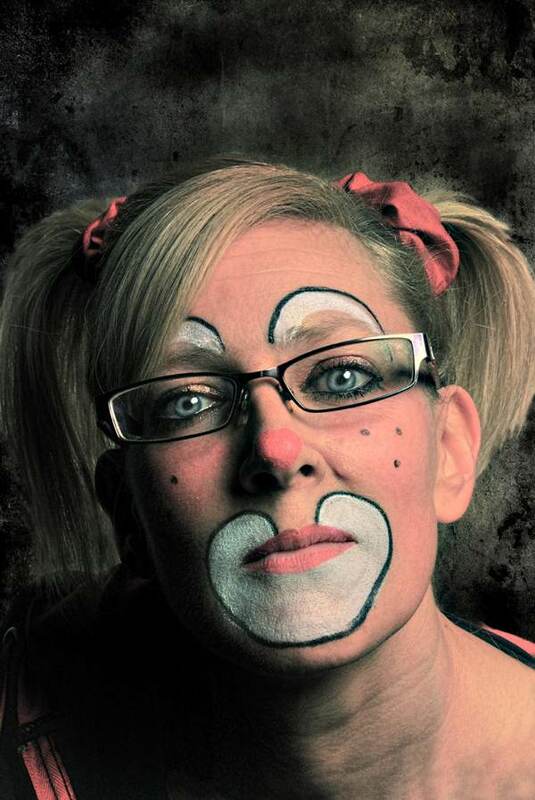 Pippa – Children’s entertainer for thirteen years, clowning for six years. 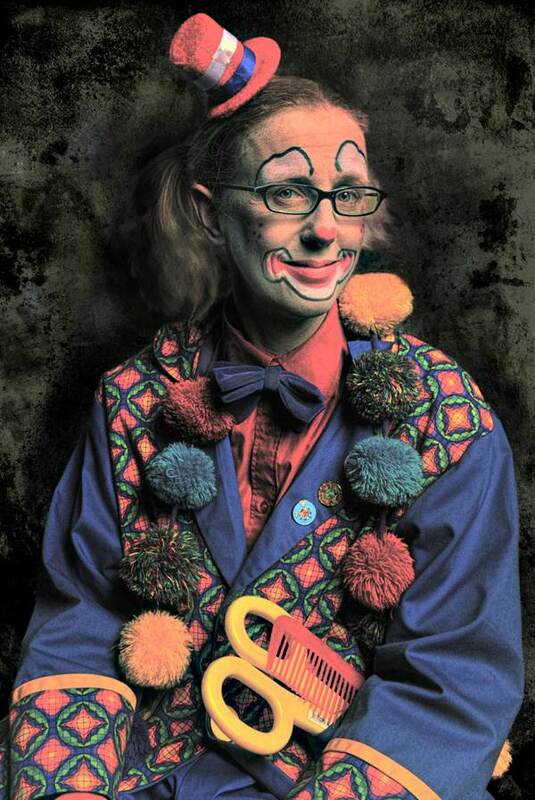 Mickell - Clowning for fifteen years. Snoozy - Clowning for four years, married to Mr Mudge. 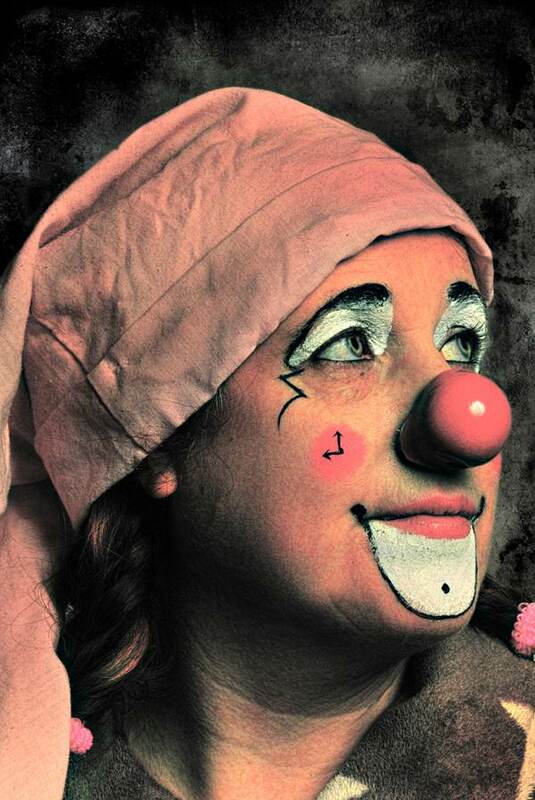 Crazy Bananas – Clowning for seven years, with her son (Crazy “Dan”anas) and daughter (Squeak). What a great photographic subject ! 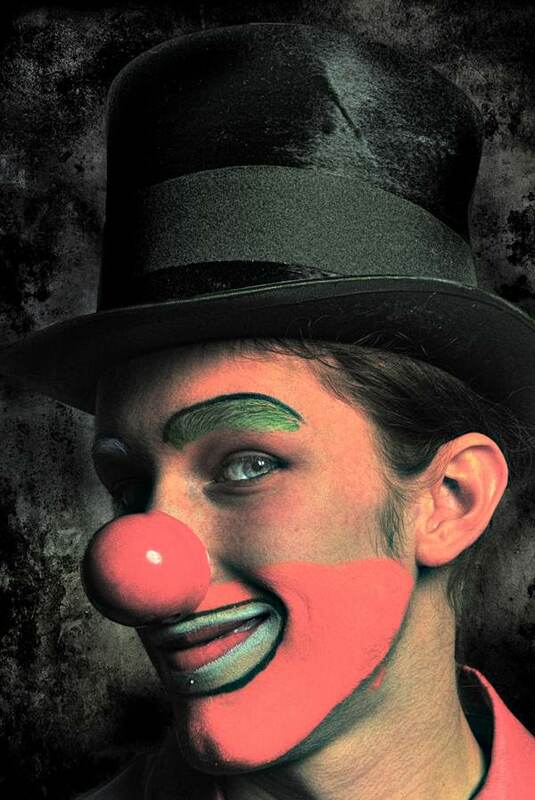 the clowns are a nice counterpoint to the darker sides of Spitalfields, but no less poetic and poignant. 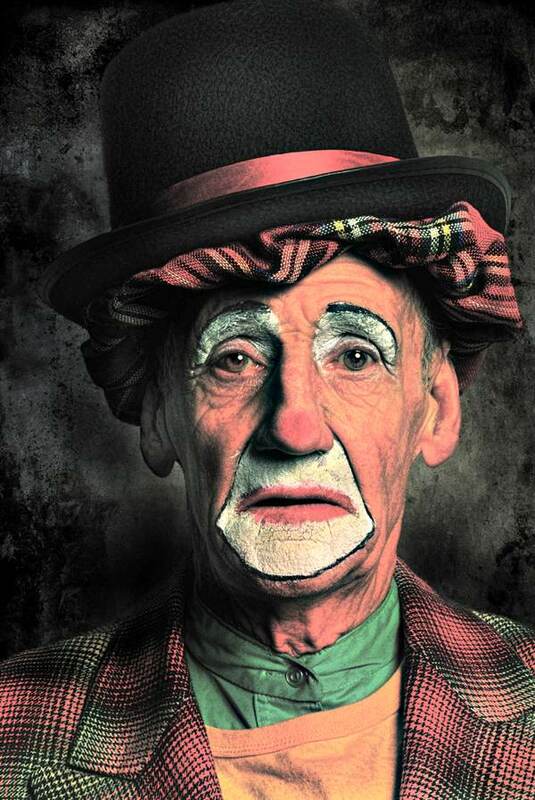 Clowns: to JC’s lens they’re to be taken just as seriously as his pugilist friends . . . just a bit more colourful, that’s all! As much as I respect the Grimaldi service they spook me. Maybe I should become a clown…become the scare-er and not be the scare-ee any more.